Freddy Bear wants peas for lunch, but there are none. He won't eat corn, or beans, or tomato! What are Mother and Father Bear going to do . . . ? Follow the hilarious antics of the mayor as he learns a lesson in humility. Funny, engaging and entertaining, it is filled with wonderful characters and delicious cake. A great book for the whole family to enjoy. Hush, little baby go to sleep. Mama's going to give you a woolly sheep. Mama's going to give you a wishing star. Can you help Buzzy Bee and his friends to count, name shapes and colours and remember the days of the week? In these stories, Buzzy Bee and his friends learn about fractions and sizes and time. Oscar also learns the difference between left and right. The story of Suzanne Aubert. Suzanne was born in 1835 in a town near Lyon in France. When she was a very young woman her parents arranged her marriage, but Suzanne refused to be wed. Instead, she wanted to serve God. A fierce wind blows. Thunder rumbles. Will the brave engine and carriages tumble? Robby the Robot has lost his big toe. He tries to find a new one everywhere, but because he's an older model there is only one place he can look and that's the town dump. 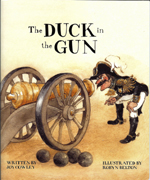 The General is ready to go to war but a duck in the gun causes a sudden ceasefire. One duck can't stop an entire army ... can it? When it's hard to go to sleep, watch out for Brad (who looks a lot like Dad! ), engineer of the Bedtime Train. He'll take you to places wild - think bears and wolves and alligators - and full of adventures. Will that bridge tumble? Will those dinosaurus bite? Not to worry. The Bedtime Train is invincible. especially with Brad at the throttle and you in command! And when you get home, sleep awaits you in a warm bed. A bedtime book for dads! Carefree Little Duckling goes off on an adventure only to meet danger in the form of scratchy cat, until the mother ducks come to the rescue. A warm fuzzy story with great rhymes. While a disobedient boy languishes in a plum tree of his own making, Mum and Dad dance the light fantastic until they decide to get him down and admonish him- again- not to eat plums in bed. Gorgeous patchwork and plum colours. cheese as round as the moon." A story in rhyme about a wee wishy woman who served up a good tasty stew to the horrible ogre Gobbler Magoo who lived in a swamp where the wild weeds grew. Oh, Nicketty-Nacketty, noo-noo-noo! "With every postal delivery Joy Cowley receives an amazing array of letters from children and adults, that contain questions about her childhood, her home and her sources of inspiration. Here now, are the answers to many of those questions asked of one of New Zealand's most prolific and successful children's writers." When Pap sends a turkey to Miguel to fatten up for Thanksgiving, Abuelo, Abuela, and Tia Rosa shake their heads. Soon enough, the turkey becomes Miguel's dearest friend and they go everywhere together. As Thanksgiving approaches, Miguel is worried. Will Papa, a trucker, make it home for the holiday? How will Miguel keep his new amigo Gracias off the dinner table? "This heart-warming story about a Puerto Rican family will inspire any reader to give thanks for family, friendship and community." A collection of nonsense rhymes about elephants of all kinds. I had an elephant under my bed. It was a very strange feeling. Every time I moved my head I hit my nose on the ceiling. "Don't panic dear!" my mother laughed. "There's no cause for alarm. A perfectly normal elephant can't do you any harm." "Warning- Contains humour of elephantine proportions!" Folks in Brianna's town are suffering from such a powerful drought that they've lost all faith in themselves and in the future. Only a miracle could help them to hope again. But the people don't even recognize that miracle when it roars into town in the form of a mysterious woman who specializes in rainsongs. It is the town's children who first realize that the rain is only a song or two away. Published by Harper Collins, NY. "My mother has got a bump in her tummy. It's because she eats heaps of pickled onions and cheese. She says there's a baby inside, but I don't think that's true. No baby could live in all that squished up cheese and pickled onion." With warmth and humour, Anna's mum and dad help her become a wonderful big sister to the new baby. Marta Enos has been working hard on her homework and is hungry for a taste of Grandmother's big moon tortillas, "The best in the world." But as she rushes out to the cookhouse, disasters happen. Her homework blows out the window and is ruined by dogs. She drops her glasses and breaks them. Grandmother comforts her with an old healing song and offers Marta the wisdom of the desert. "When we have a problem we must choose what we will be." Marta chooses to fly high and laugh at her problems, like an eagle. A story about family strength, and problem-solving. Published by Boyds Mills Press, a Highlights company, Honesdale, Pennsylvania, USA. Now the family farm has been sold, a new owner is needed for this special little tractor. Read about its long search for the right home. Mr Hill of Hill's Tractor Sales wagers twenty jelly doughnuts that Granpappy's old tractor won't make it through haying season. Will Granpappy buy a brand new tractor with the fancy-dancy engine? 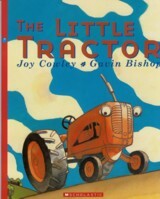 Or will he keep his old friend, the rusty, trusty tractor? "A warm family story with nuggets of wisdom." "The red-eyed tree frog has been asleep all day. It wakes up hungry. What will it eat? "A night in the life of a red-eyed tree frog, told simply for the very young." Winner Boston Globe Horn picture book award 1999. Finalist NZ Post Children's Book Awards 2000. Danger lurks everywhere as the chameleon searches for a new home. But the journey's end brings him a juicy meal - and a new friend too. 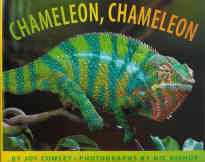 Luminous photographs and an interesting fact sheet about chameleons. Published by Scholastic New York. Find out what weapons Weta (a type of New Zealand cricket) has to defend his nest and the princess wetas within. A true story illustrated with luminous photographs. 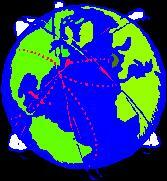 Includes a fact page about wetas. George and Harry skateboard to the video shop only to find it closed. Peering through the window, they notice something unusual - a sparrow trapped inside. The owner of the shop is out of town for two weeks and can't be reached. If the boys don't act soon, the bird will die. They try to get help but no one seems interested in rescuing the bird. As one adult says, "It's only a sparrow. Plenty more where that came from." But the boys won't give up. They take their plea to the mayor and eventually the sparrow is rescued. A rhyming alphabet book. Ss Six small snails silently pass, leaving trails as smooth as glass. Vv Vinny Viper's voice was hoarse. He couldn't sing a note. The vet looked in and found a frog in Vinny's throat. 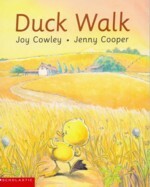 "Joy Cowley's wonderful read-aloud rhymes make learning the alphabet so much fun for young readers." A rhyming story about an Antarctic penguin chick and all the dangers that can confront it when it strays away from its nest. Having survived a hungry skua, a seal, a killer whale and a blizzard, the penguin chick realises the "Nest is best. Yes, nest is best." Meet Agapanthus Hum! That running, cartwheeling, humming whirlwind. But when she goes flying, so do her eyeglasses. Not even wearing a bag over her head when she flips over, helps. Leave it to good little Mommy and good little Daddy to come up with an idea! "Full of beans, song and heart ... readers will hope for an encore." Kirkus Reviews A Publishers Weekly Best Book of 1999. From the moment she lays eyes on him, Agapanthus knows that Major Bark is a champion. Why not? This whizzy, dizzy puppy with the floppy ears is the best dog in town. But he is a bitser - a bit of this and a bit of that. Can he win at the Champion Dog Show? When Agapanthus Hum loses a tooth, she discovers she can whistle through the gap. "An angel hoot," says good little Daddy. "It's the way angels call to each other on windy days." Agapanthus' angel hoot makes her puppy Major Bark, howl loudly and the duet causes much interest during show and tell time at school. 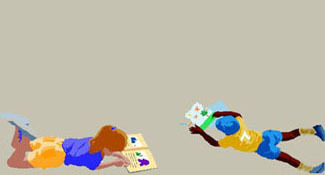 Published by Philomel Books, a division of Penguin Putnam Books for Young Readers, 345 Hudson Street, New York, NY 10014, USA. Mrs Wishy-Washy tells her animals they must have a scrub while she�s in town, or there�ll be no presents. The animals shiver at the icy prospect until the duck remembers where there is a nice warm tub with scented soap! Oh, chaos! No more tubbing and scrubbing -the ample Mrs Wishy Washy breaks out in this 32 page picture book and runs free to the city with the cow, the pig and the duck. Katie is determined to take Greedy Cat to the School Pet Show, but Greedy Cat doesn't want to go. Delightful story and pictures with Greedy Cat getting exactly what he wanted. Greedy Cat is feeling poorly and Katie thinks she has the answer to make him strong and healthy again ..... more food! When Grandma goes on holiday, Katie offers to look after her goldfish. The Easter story is about God's love for us. A love too big to be described in words. But we know it in our hearts. We can feel it like a warm presence. Once there was a frog who had been a prince. He knew he could become a prince again if he was kissed by a princes. We all knew that Brodie was sick, but we thought he'd get better. Maybe it was because he talked a lot about being a chopper pilot. This book was written in response to requests from teachers for a book to help children deal with the death of a classmate. Was there no pudding left in the Story Universe? Captain Edwina Bear and Patrick Duck search for tortes and tarts, jelly and cake. But have the pudding pirates devoured all the pudding in the universe? A scrumptious fantasy for sweet-toothed children. Part explorer, part magician, Mrs Goodstory takes her young friend into the unexpected but midway through forgets the story-line. "A fine adventure never hurt anyone!" she says. A story full of wonderful ideas showing the power to go anywhere on the wings of a story. Published by Boyds Mills Press, Pennsylvania. The true story of Dayton Hyde's ranch for unwanted horses. Author's royalty is directed to the Institute of Range and the American Mustang. 2004 KIND Children's Honour Book awarded by National Association for Humane and Environmental Education. 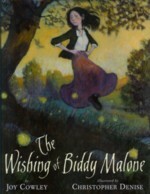 To be sure, to be sure, Biddy Malone is a singer and dancer with a voice like a rusty gate and dundering feet. See what happens when she is granted three wishes. Published by Philomel Books, 2004, American Library Guild Classic 2004. A child dies. Her book is stolen. How does this bring peace to the people of Aotearoa? This is the true story of Tãrore, and part of our history. Josephine's dad tells her she must never go down to Timberditch or the taniwha will get her, but what exactly is a taniwha? A classic New Zealand story from our best-loved authors. It's Christmas time and all the farmyard animals have come mooing, barking, clucking, baaing, quacking, oinking and meowing to the cowshed door. What do you think they saw? 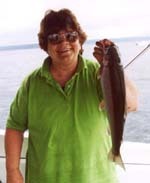 The fierce little woman lived in a house at the end of a jetty. She knitted socks in blue and green wool, to sell to sailors who had got their feet wet. But when there were no ships at the jetty, she was quite alone. One stormy day, a wicked pirate came to the house on the jetty.